Are you visiting Vancouver for an extended stay? 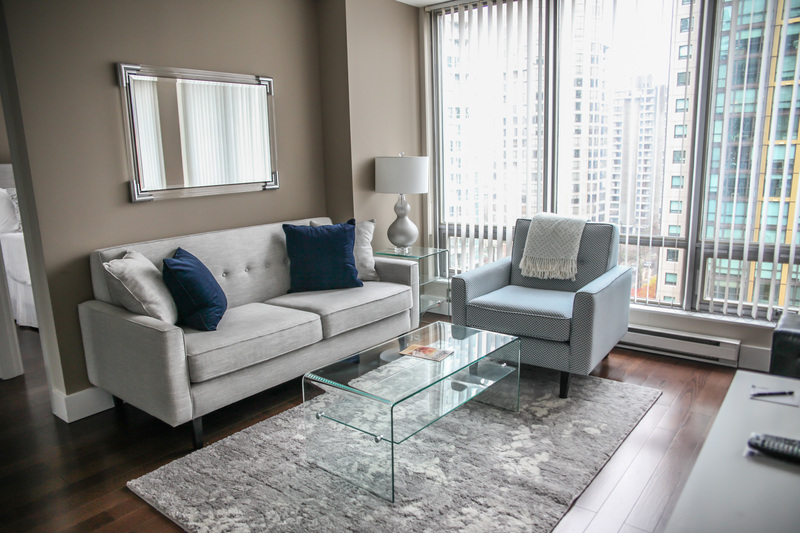 Whether for travel, work, or necessity while in-between homes, we have the perfect apartment for you! 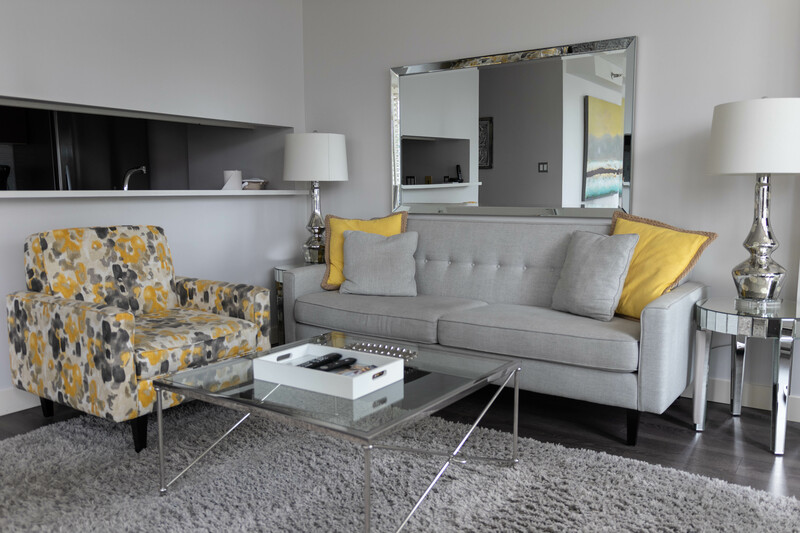 From one bedroom to two, there are multiple styles available to fit your individual needs, along with convenient features that will make you feel at home. For starters, each apartment comes equipped with a washer/dryer, fully equipped kitchen, and linens and towels. You’ll also enjoy air conditioning, wi-fi, free local phone calls, a flat screen tv and more! Finally, we also offer housekeeping services on a bi-weekly basis, to ensure your home is always kept in tip-top shape. Besides apartment features, we also offer guests a variety of building facilities. Available 24 hours a day, our fitness facility contains everything from treadmills to weights. 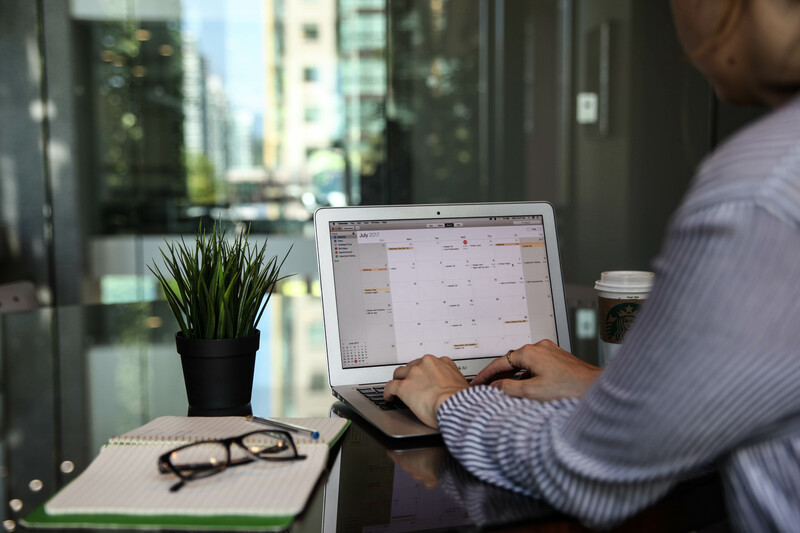 We also have several meeting rooms available for use, perfect for hosting clients or for when you need a quiet space to get work done. If you have a vehicle, know that it is safe in our secure underground parking, and/or, if you have a bike, we also have a bike storage room. 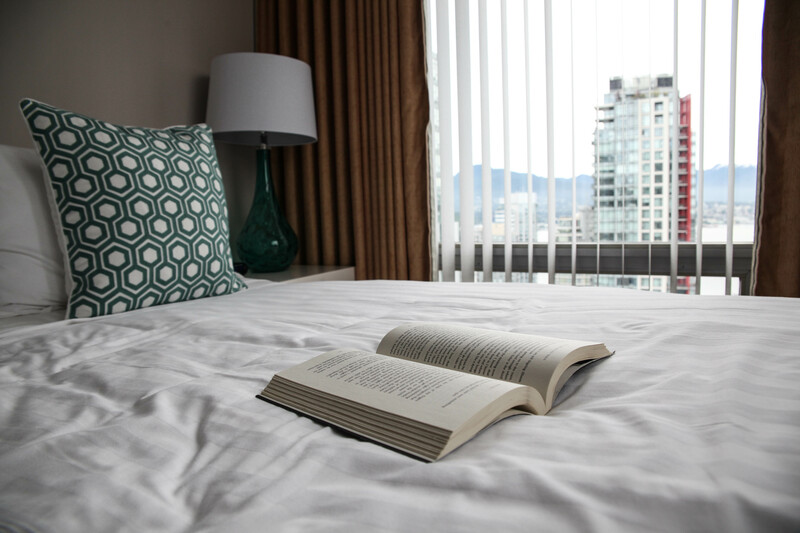 Located in the heart of Downtown Vancouver, we’re just a hop, skip, and a jump away from the city’s best dining, entertainment, and natural attractions. We would love to take care of you during your visit and are always happy to give recommendations! If you have a question, email us, or, tag us on Instagram, Facebook, or Twitter.